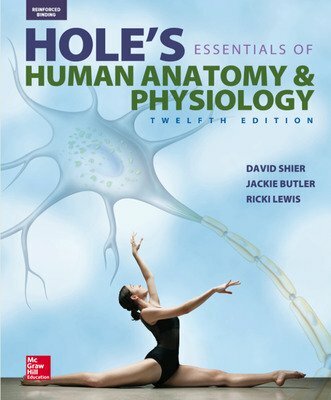 Hole’s Essentials of Human Anatomy & Physiology High School Edition assumes no prior science knowledge, makes difficult concepts relevant to students, and provides students with a solid understanding of the important concepts in anatomy and physiology. 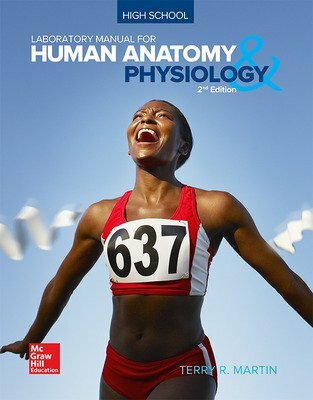 This NEW high school edition is correlated to the Next Generation Science Standards, uses an approachable, one-column design, and features additional content to help students succeed. 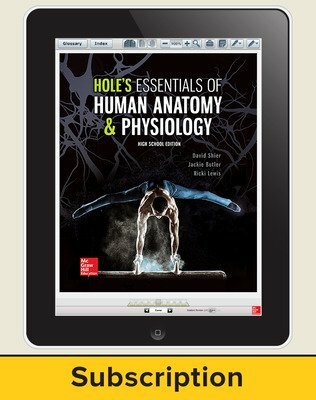 • A dynamic art program with brighter colors and enhanced 3D effects. 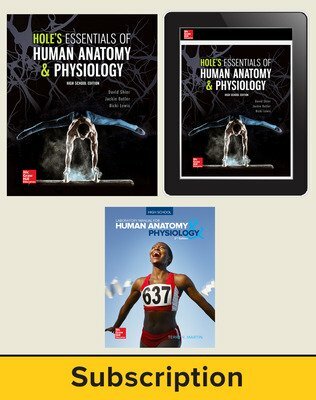 • A NEW High School Lab Manual with 34 hands-on activities designed to complement any Anatomy & Physiology course or text. 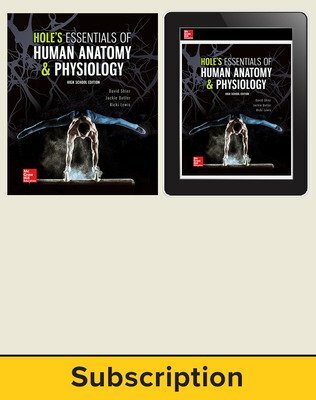 • An eBook and a SmartBook® adaptive reading experience, designed to help students learn faster, study more eﬃciently, and retain more knowledge.